Visibility/Location: The location was easy to find on Villa Avenue. Better, the haunted house had light up arrow signs at the main roadways pointing you in the right direction. There was ample parking at the Odeum for everyone. Wait Entertainment: There were two people wandering through the line as wait entertainment. One was a clown who seemed to enjoy getting in peoples grill, then a burly guy in a facemask that was there to intimidate. Admission Price: $25 with VIP passes available for $40. Crowd Control: Great. We didn�t bump into any other groups. Those are the three words that, to me, best describe what Asylum Xperiment has done in 2012. Impressive because the sets, acting, makeup, and intangibles I saw while traversing through their haunted house were just amazing. And, epic because, as I walked out at the end of my adventure, I just couldn�t get over the fact that it was like nothing I have ever seen this side of Disney World. While this may sound like hyperbole, I want it well known that I�m not blowing things out of proportion at all: Asylum Xperiment is so good that it�s truly larger than life. This entire review starts at the very beginning � at the floating head on the wall that spins as it tells you the rules of the haunt. Now, it may not seem like much � just a floating head that tells us the rules - but the thought process that goes behind it is a way of thinking that captures the true spirit of what Asylum Xperiment really is. This spinning head gives insight into what goes into the haunt designer�s head when they are putting it together. But, it is. You see, in order to understand what that head signifies, you need to understand what that head ISN�T� that floating head isn�t a television screen of any kind showing me a 2-D image of someone telling us the rules. You see, it�s a FLOATING HEAD that tells us the rules. A FLOATING HEAD. It�s not a 2D image � a television - or even a group of 2D images � a group of televisions - of a head showing me the rules. It�s a projected head spinning on the wall. That thought process is what separates Asylum Xperiment from every other haunt I have been to in 2012. It�s that thought process that separates the best from the rest. The common theme throughout Asylum Xperiment is that they consistently say �anyone can do this, what if we did this instead�� and then they go out and find a way to do it. You want examples? There�s a mean woman in the most disgusting kitchen I have ever seen force-feeding a girl food. Now, yes, anyone can do that, but this girl, instead, kept spitting the food back out of her mouth, into the pan, where the mean woman would scream and shovel it BACK into the girls� mouth!!! More? Sure� how about the woman who reads a full script from the top of a stairwell as she looks down on the group. The designers of the room actually gave her a wireless microphone so she could tell you about the true meaning of horror before you pass through the fireplace into another room. More? Okay. How about the toy room where there are six-foot stuffed animals surrounding the pathway you walking along, then out of no where, a living doll comes to life to scare the absolute crap out of you. And, there�s more � a lot more - too much to mention and WAY TOO MANY surprises that I refuse to spoil. But, quickly, entire rooms collapse upon themselves, entire rooms sway back and forth under your feet, and entire rooms spin underneath you. There�s an area called Apocalypse where the weirdest creatures intermingle with and intimidate you while leaping over at least a dozen cars, then entire redneck areas where the dregs of society come at you to get you to stay. You have boogeyman coming out of closets, and strange medical areas where some of the weirdest surgeries are taking place. Every scene is impeccably detailed and designed, every prop and piece of scenery not only is perfectly placed inside the scene, but more importantly added to enhance the room. It seems simple to think that a library isn�t a library without books, but its also not a library without elaborate candelabras, statuettes, and art work. All of that is in there� and it�s all perfectly placed to let you know you are in a library. The scenes are like a perfect model of what your imagination would think these scenes should look like. I want to say the scenes are like mini-movie scenes, but only better. 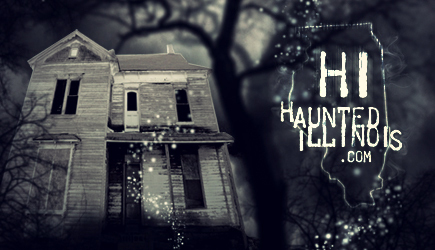 The flow of the haunted house was designed to enhance each room, building you to a crescendo where, my God, by the time you are done, you�re spent. This is my second year reviewing Asylum Xperiment in Villa Park, and I was in awe of it in 2011. But the issue I had then was that the acting seemed sub par throughout the haunt. That whole issue has completely changed. Last year, I could count on one hand the number of good actors inside the haunt. Now, that figure is reversed. Better, I didn�t find a single actor that wasn�t immersed in their character, dropped a line, or did a bad job. Specifically, the girl at the top of the stairs was outstanding. The speech was incredible, her inflection wonderful, and it was clear she was well into her eerie character. The rednecks were outstanding, the girl in the doll room was great, the little girl in the bedroom was psychotic and, as I already mentioned, the two in the kitchen had me throw up in my mouth a little. If I have one complaint with Asylum Xperiment, it�s that it ended at 22 minutes. And, honest to God, its not a complaint as much as an observation: I�ve been through some haunted houses this year where I would pull out my eyes if I had to be in there for 22 minutes � at Asylum Xperiment, the 22 minutes seemed like 5 minutes. I just didn�t want it to end. So, hats off to the folks at Asylum Xperiment in Villa Park. This haunt is truly ambitious, impressive and more than anything else, epic. Make sure you get out there and check it out.